I’m very excited to share the newest cover for the Daughters of the Forgotten Realms series. 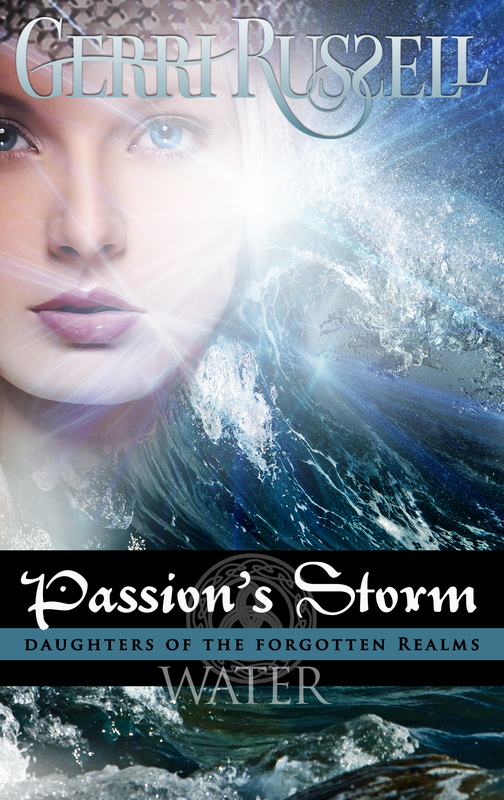 The three-book series begins with Passion’s Storm. Here’s a short blurb of what’s to come: Ianthe of Lyonesse is a sorceress whose magic cannot save her people. Alexander Warenne is a warrior who’s never known defeat yet is now a captive in a would-be king’s plans to take the crown of England. Caught in a web not of their own making, both Ianthe and Alexander fight for their freedom. As Alexander wages war on England, he discovers Ianthe is the one person who can heal his battle-scarred heart. Yet in order to attain her, he’ll have to risk everything. 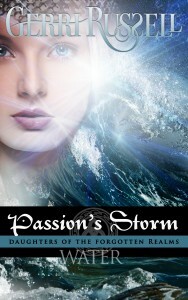 Passion’s Storm is scheduled for release Spring 2013. Keep checking back or join the GerriRussell.net newsletter for updates and a sneak peek coming soon! 3 Responses to Daughters of the Forgotten Realms are coming! Vow! The cover is simply stunning. Can’t wait to read this new series, I loved the idea of a mystical medieval trilogy. Now I am curious about the other two “daughters”: have they the powers of fire and earth, or air and fire, or still air and earth? Exciting doubts! The new book sounds promising, I love the sorceress idea. Can’t wait to read this one and the rest of the books in this series. Good writing. Ahhh! So excited. 😀 What an awesome cover, and I can’t wait– I adore your books. I reread Warrior’s Lady constantly. It’s a favorite.